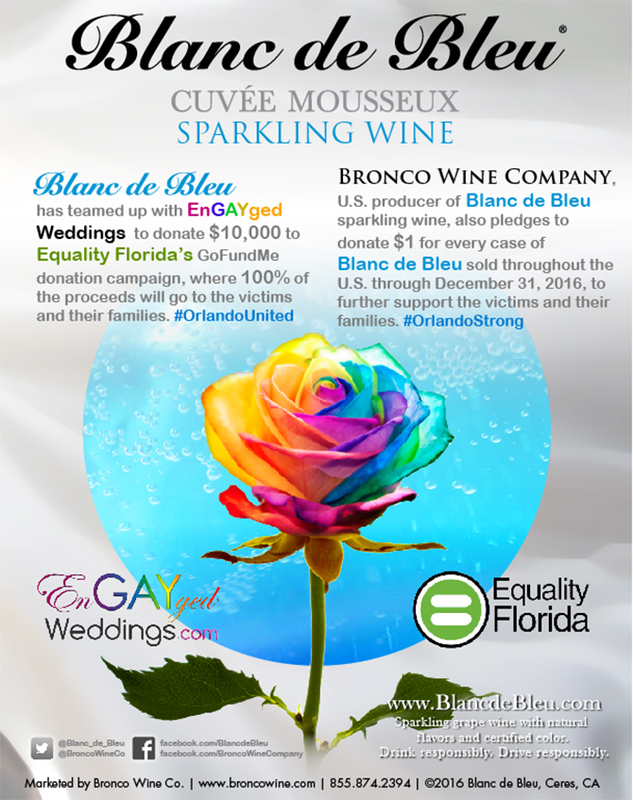 Orlando, Florida – EnGAYged Weddings, Inc has teamed up with Blanc De Bleu Sparkling wine to donate $10,000 to Equality Florida’s GoFundMe donation campaign, where 100% of the proceeds will go to the victim's and their families. 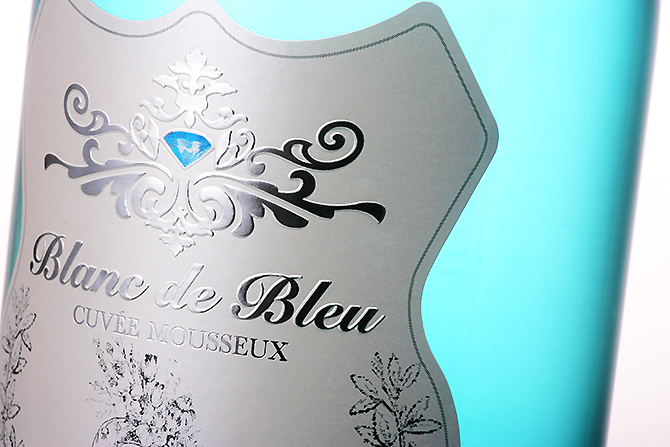 Bronco Wine Company, U.S. producer of Blanc de Bleu Sparkling Wine, also pledges to donate $1 for every case of Blanc de Bleu sold throughout the U.S. through December 31, 2016 to further support victims and families of this senseless tragedy. EnGAYged Weddings has also partnered with Equality Florida, and has put banner ads on their home page linking directly to Equality Florida’s GoFundMe page. EnGayged Weddings a LGBT Wedding Directory based in Orlando Florida along with Blanc De Bleu Sparkling Wine and the entire Bronco Wine Company / Franzia family wishes to send our deepest condolences to the families and friends of those lost in this horrible tragedy, and are here to further support the families in their hour of need. EnGAYged Weddings, Equality Florida, and Blanc De Bleu will continue to stand tall, continue to fight, continue to love, and continue the philosophy of we are Stronger 2 Gether. We ask are you still with us? Life, Healing, Sunlight, Nature, Serenity, and Spirit. OneBlood, the local blood bank in Orlando, are currently asking folks to wait until later this week to donate because of the overwhelming numbers of people who responded to their first call for blood donations. To find a donation center or Big Red Bus near you visitwww.oneblood.org or call 1.888.9Donate. Equality Florida is pleased to report that the Mayor and City of Orlando have authorized a vigil at the Plaza at the Dr. Phillips Performing Arts Center for tonight, June 13th, at7:00pm ET. Equality Florida has been working closely with the city and federal government to ensure this will be a safe event for those who come out to mourn the victims of the horrific mass shooting at Pulse Nightclub. We are thankful for the hard work of law enforcement and Orlando’s Mayor Buddy Dyer in helping to make sure this event is safe and secure. Lawn is between Orange Ave. & Magnolia. We are asking the community to come together to remember and honor the victims, families, and friends affected by this national tragedy. Let’s show the world that we are #OneOrlando. If you know of any loved ones of Pulse victims needing travel assistance, we have a contact who has a network of airline employees that may be able to help. Please email hr@eqfl.org.